Are you one of those people who spent a long time to select your hairdresser? I know you want to look good, but hair grows out if you get a bad cut. Take at least a few moments to think about the source of the food you put in your body. 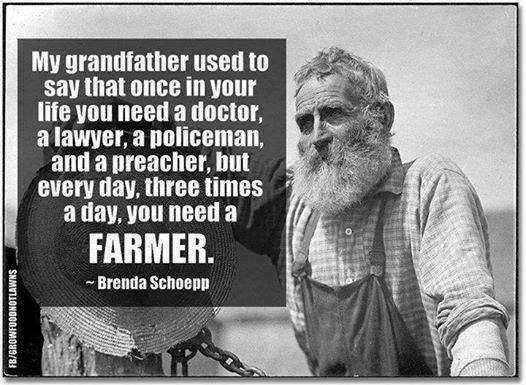 Knowing your farmer is an easy way to be sure about the quality of your nutrition. You can understand how that food was raised, what methods were used, and as you prepare it yourself, take pride in how you are helping keep yourself healthy! This entry was posted in consumer demand, education, Local food, local food stystem, nutrition and tagged health, local economy, local farms, Local Food, nutrition. Bookmark the permalink.